Easter is just around the corner, so it’s time to start planning the Easter gifts. 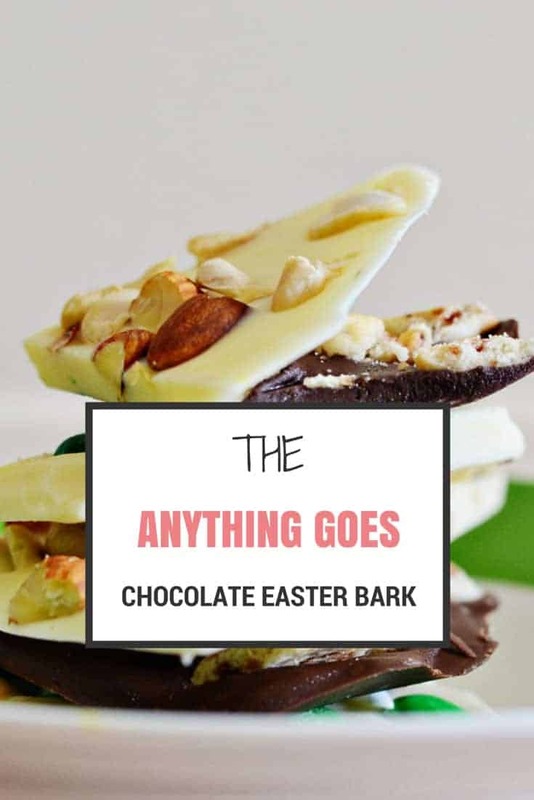 I have taken to doing handmade Easter treats for gifts the past few years and this year, I have no doubt this Easter chocolate bark will be the favourite. 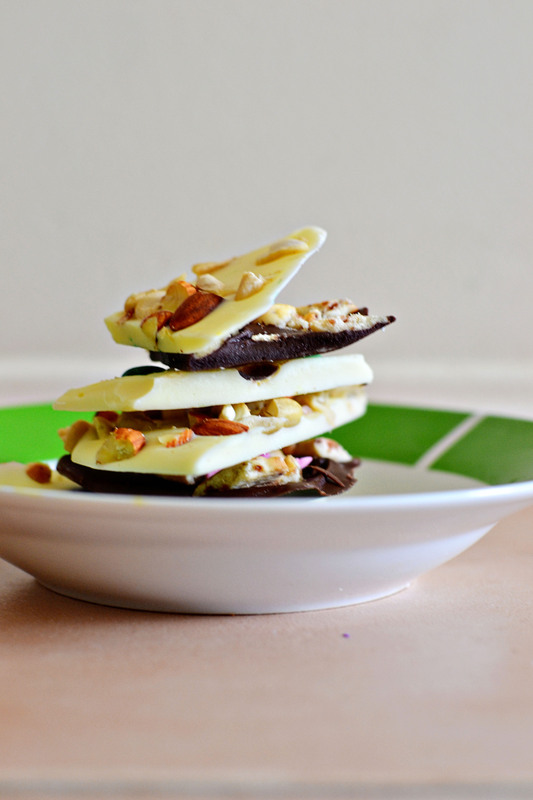 Chocolate Easter bark is such a fun idea as it’s not only easy to make, but you can pretty much add in anything you want. Cookies and cream style with some Oreos, chewy with some jelly lollies, nuts, dried fruit. Anything your heart desires. Hence the name… ANYTHING GOES! Plus you can use milk, white or dark (or any kind of melting chocolate) as your base. I like to use white mostly as it looks best, plus a little food colouring gives it pretty candy colours. 1. Using a microwave safe container, heat chocolate melts for 30 seconds at a time, stirring in between to melt chocolate. 2. 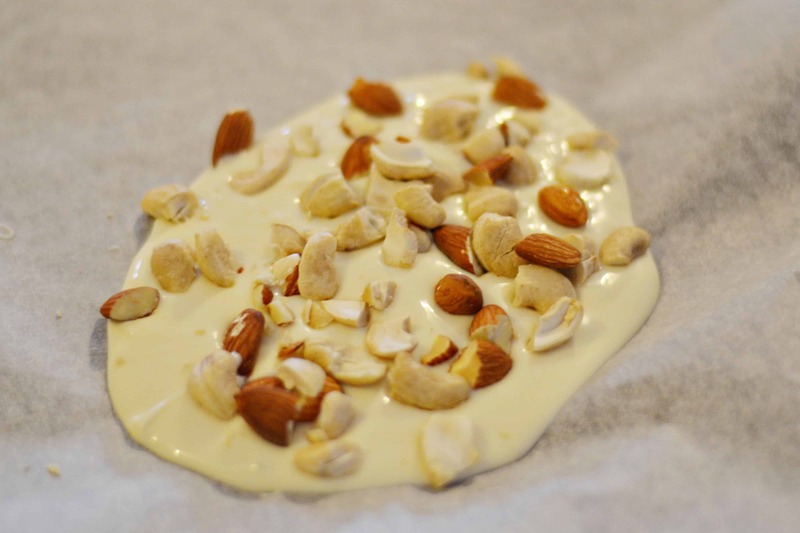 Pour melted chocolate on baking paper lined tray and spread out so to desired thickness using a spoon. 3. Scatter your desired mix ins over the top of the chocolate. 4. Place in fridge to set, then use a knife to break into pieces. There you have it. As simple as can be and super quick and easy to make. A great idea is to bag them up into cellophane bags and tie with ribbon as Easter gifts, or create your own bag labels or tags to go with them. Much cheaper than traditional store brought Easter eggs, and a whole lot more fun with that handmade with love special touch. These ones were made using white chocolate and dark chocolate melts, Pineapple M&Ms (I had to try them), mixed nuts and Tiny Teddy biscuits that were in the cupboard already. Don’t forget to grab my Easter planner printables to help you stay organised. Available now in my Etsy store for mere pocket change. 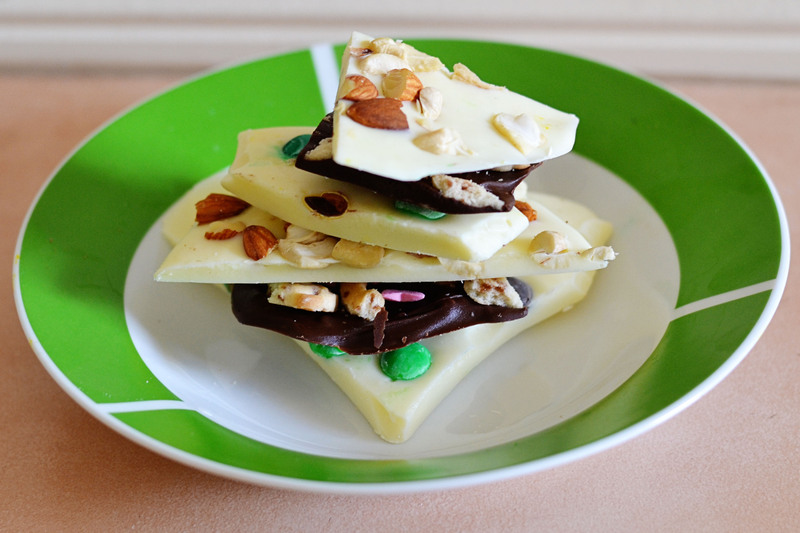 What yummy things would you add to your chocolate Easter bark? It’s a pretty awesome combo. Ahh you make this tasty treat look so simple, I bet I can do this too for my kids!! Thanks for sharing on Friday Features this week.. Come see us Wednesday! It really is so incredibly simple. Your kids will be able to help for sure. chocolate bark look so yummy and are simple to make. Love the idea of adding M&M and Malteasers. It really is one of the easiest things. I love being able to throw anything in too.